This study was conducted to determine what symptom components or conditions of insomnia are related to subjective feelings of insomnia, low health-related quality of life (HRQOL), or depression. Data from 7,027 Japanese adults obtained using an Internet-based questionnaire survey was analyzed to examine associations between demographic variables and each sleep difficulty symptom item on the Pittsburgh Sleep Quality Index (PSQI) with the presence/absence of subjective insomnia and scores on the Short Form-8 (SF-8) and Center for Epidemiologic Studies Depression Scale (CES-D). Prevalence of subjective insomnia was 12.2 % (n = 860). Discriminant function analysis revealed that item scores for sleep quality, sleep latency, and sleep medication use on the PSQI and CES-D showed relatively high discriminant function coefficients for identifying positivity for the subjective feeling of insomnia. 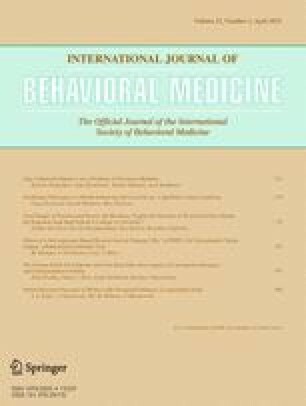 Among respondents with subjective insomnia, a low SF-8 physical component summary score was associated with higher age, depressive state, and PSQI items for sleep difficulty and daytime dysfunction, whereas a low SF-8 mental component summary score was associated with depressive state, PSQI sleep latency, sleeping medication use, and daytime dysfunction. Depressive state was significantly associated with sleep latency, sleeping medication use, and daytime dysfunction. Among insomnia symptom components, disturbed sleep quality and sleep onset insomnia may be specifically associated with subjective feelings of the disorder. The existence of a depressive state could be significantly associated with not only subjective insomnia but also mental and physical QOL. Our results also suggest that different components of sleep difficulty, as measured by the PSQI, might be associated with mental and physical QOL and depressive status. This study was supported in part by a Grant-in-Aid for Scientific Research from the Ministry of Education, Culture, Sports, Science and Technology of Japan. This study (work) was supported by the Health and Labour Sciences Research Grants for Comprehensive Research on Disability Health and Welfare. Yuichi Inoue has received a speaker honorarium from Hisamitsu Pharmaceutical Co., Inc.; Nippon Boehringer Ingelheim Co., Ltd.; Philips Respironics GK; Alfresa Pharma Corporation; Takeda Pharmaceutical Company Limited; MSD K.K. ; Pacific Medico Co., Ltd.; Otsuka Pharmaceutical Co., Ltd.; Eisai Co., Ltd.; Mitsubishi Tanabe Pharma Corporation; GlaxoSmithKline K.K. ; Astellas Pharma Inc.; Sanofi-Aventis K.K. ; and Yoshitomiyakuhin Corporation. Sayaka Aritake, Shoichi Asaoka, Tatsuo Kagimura, Akiyoshi Shimura, Kunihiro Futenma, and Yoko Komada declare that they have no conflict of interest.